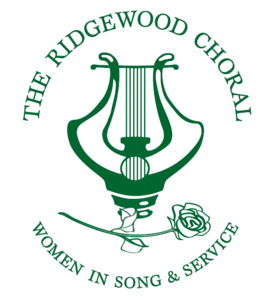 Over the past 91 years, The Ridgewood Choral has evolved into the exceptional group it is today as we remain true to our mission of “Women in Song and Service.” We ask that you help us to continue our mission well into the future through a tax-deductible gift to the Choral. Please consider adding to your gift amount in celebration of Marjorie Vandervoort’s 26th Season as conductor of The Ridgewood Choral. This gift will support our new Vocal Scholarship named in her honor. Donor names are printed in our music program for the Annual Spring Concert. Please let us know how you would like your name listed. And, if it is not on the check, please also include your return address so that we may thank you. Please note that contributions must be received by February 22, 2019 for inclusion in the 2019 Spring Concert program. Please make your check payable to “The Ridgewood Choral” and mail to PO Box 208, Ridgewood, NJ 07451. If you would like your donation earmarked for a specific fund, please note it on your check. If you would like to send in the donation form with your check (this is preferred), please print out and send in this form with your check: Annual Fund Donation Form. Please email us at ridgewoodchoral@yahoo.com if you have any questions or need any assistance, and we will respond as soon as possible. Your tax-deductible donation is what makes our mission of song and service possible. We look forward to making beautiful music and performing service this 91st Anniversary Season and we thank you in advance for your donation.